You need an attorney you can trust to fight for your rights and get you a fair and just resolution. 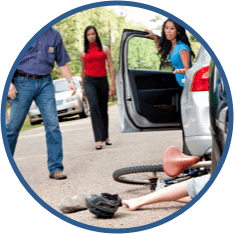 Have questions about your case? Call (770) 771-5097 or Contact Us for your case evaluation! At Smith, Schnatmeier, Dettmering, Collins, Reeves, Hobson & Hobson, LLP, our devotion to clients is always priority number one. In our 100 years of experience, we have helped countless clients from all over the Paulding County area feel properly represented in their drug defense case. Our drug defense firm offers tailored legal advice for Paulding County area clients facing daunting charges. 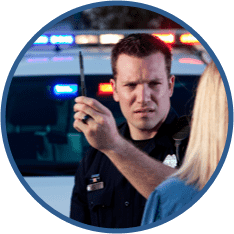 We have a soft touch with our clients, but a hard-hitting defense against Paulding County area prosecutors. The professionals of Smith, Schnatmeier, Dettmering, Collins, Reeves, Hobson & Hobson, LLP are here to stand by your side. At Smith, Schnatmeier, Dettmering, Collins, Reeves, Hobson & Hobson, LLP, we know the law never sleeps. 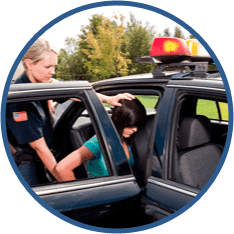 Drug defense charges in the Paulding County area are not confined to the 9-to-5, so we do our best to shape our availability according to your needs. When you work with one of us, you are getting not just our 100 years of experience, but a highly-motivated team as well. When you hire a drug defense lawyer, you need an attorney who can understand every aspect of the legal system. We have studied cutting-edge negotiation tactics and have 100 years of experience working out plea bargains with Paulding County area prosecutors. If you decide to take your case to trial, Smith, Schnatmeier, Dettmering, Collins, Reeves, Hobson & Hobson, LLP will help you along every step of the way from arguing your case at hearings to presenting your case to a jury and into appeals. Jury trials are a specialty of ours, and we have a strong understanding of how juries will make their decisions in drug defense cases. Contact Smith, Schnatmeier, Dettmering, Collins, Reeves, Hobson & Hobson, LLP to talk with a Paulding County area attorney about your case today. I've hired Mr.Schnatmeier for my DUI and misdemeanors case and he has provided sound advice and helped me to get the charges reduced. I will forever be grateful for the help I've received from Mr.Schnatmeier. I'd highly recommend him. Awesome Attorney, Highly Recommended! I had a great experience with Rob. He took my case and helped handle it in a smooth and straight forward fashion. There were no problems and it ended up getting dismissed. Great experience! Rob was great from day one. He looked out for my best outcome on every level. His paralegal Elaine was also extremely helpful. Both kept me going in so many ways for roughly 6 yrs. Rob was highly ethical on every action with my case. I would highly recommend Rob and Elaine. They are two people who really care. I can't say enough good things about these two people! I rarely write reviews for anything or anybody but Smith, Schnatmeier, Dettmering, Collins, & Reeves, LLP legal work was so excellent I felt it was important to write a review. They assisted me quickly and efficiently. They were very knowledgeable and gave me good counsel. I was confident they were going to represent me well and they did. I highly recommend Cobb County Attorneys if you want good Legal Counsel. As a colleague of the lawyers at Smith, Schnatmeier, Dettmering, Collins, & Reeves, LLP, I can tell you that they possess superior trial skills and display superior ethical and professional conduct in their practice of law. 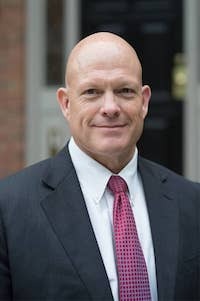 I have personally known Rob Schnatmeier for the past fifteen years, having worked closely with him in the DeKalb County District Attorney’s Office. 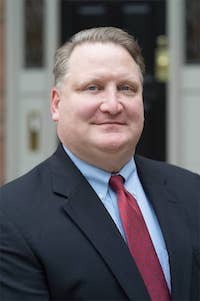 Rob is a great trial lawyer and does an excellent job for his clients. Rob and I continued the working relationship that we formed in the District Attorney’s Office and currently work on many cases together. Smith Dettmering & Schnatmeier is the best attorney practice in Marietta and Cobb County. They are extremely bright and stand up for their clients. I highly recommend this law firm.